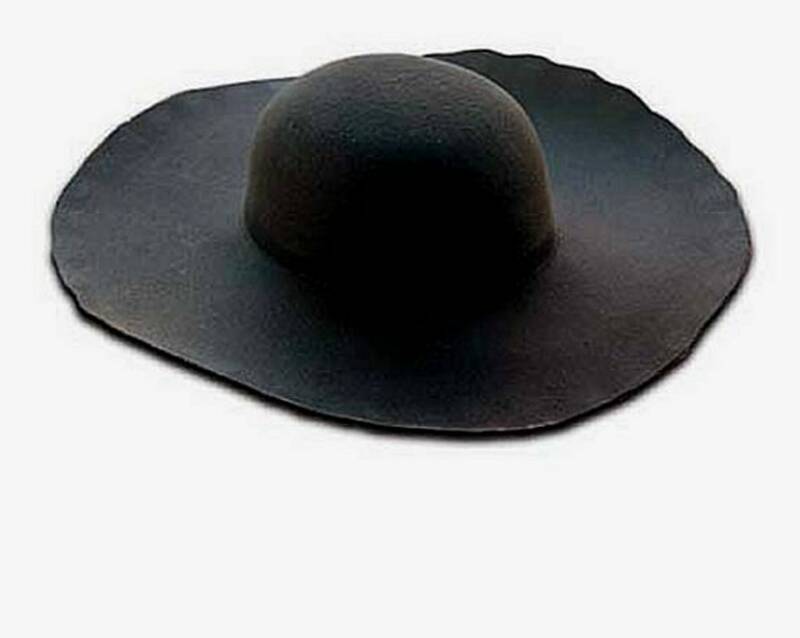 Top quality blocked hat blank! 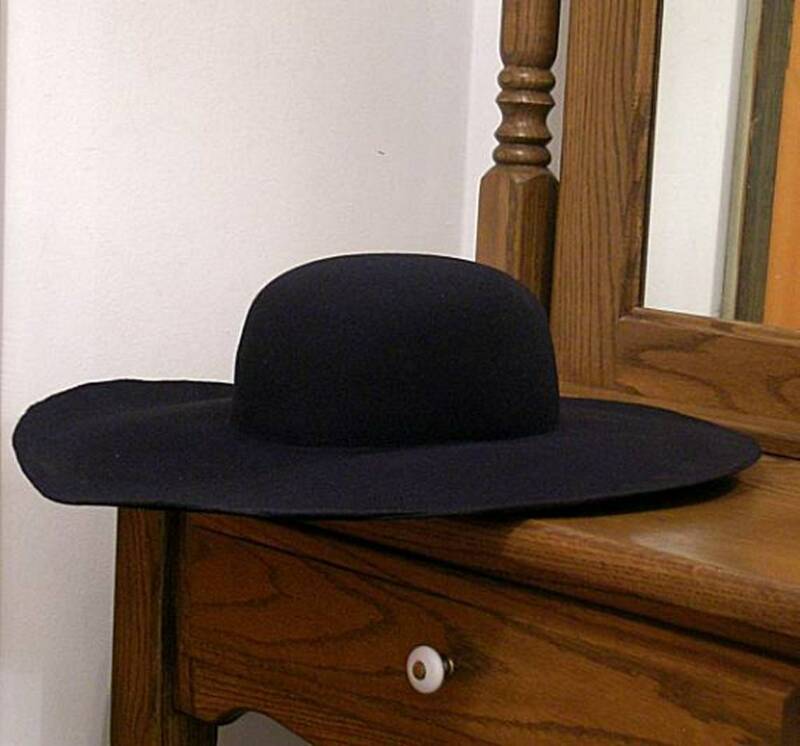 This hat body is made from a heavy wool felt capeline and blocked to size. It is ready to make into your favorite style shown the last few pictures, i.e. 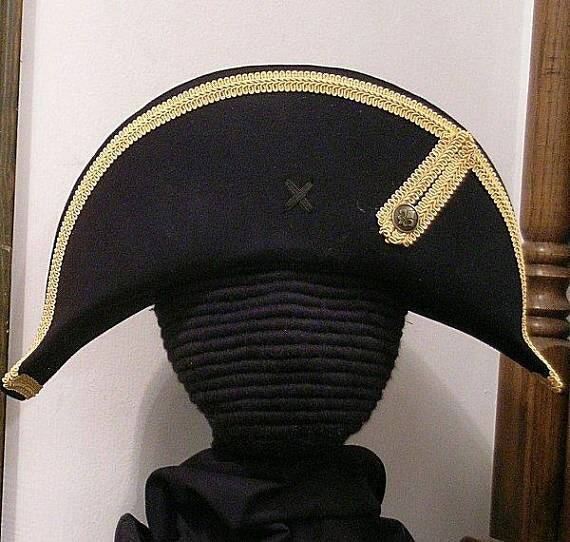 cavalier, slashed and laced, tricorn, bicorne, pirate hat, mercenary, etc. 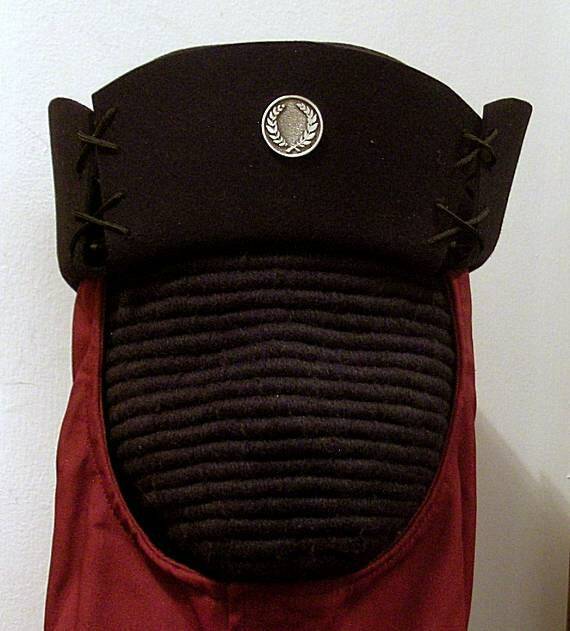 OR it can be just left plain and with a little trimming around the edge to remove the clamp marks, it makes the perfect plain felt hat as worn in the 15th century by the Knights of the Silver Crescent. It can cover many time periods from the 15th century into the 19th century. 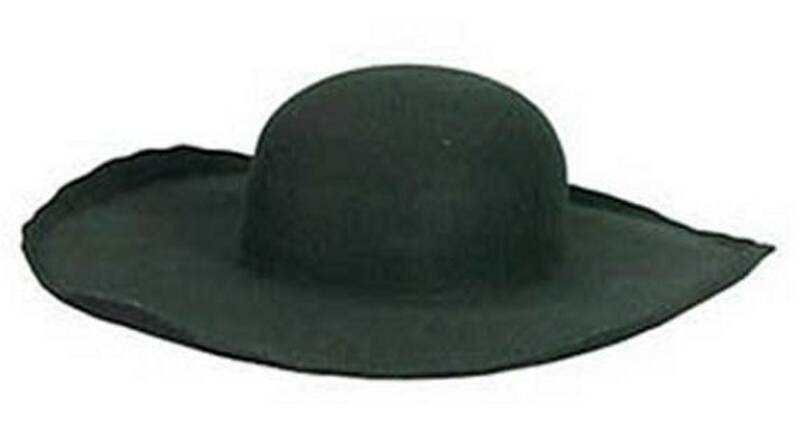 Great for historical reenactments! 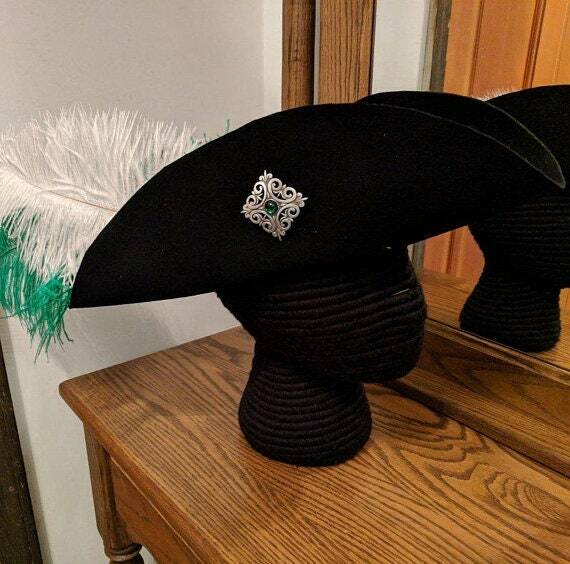 Crown is about 4” high and the brim is about 4-1/2” to 5” wide. Uneven edges, Stretch Marks - Not trimmed. Unlined. Measure around your forehead if you are unsure of your size. Black only! NEW! 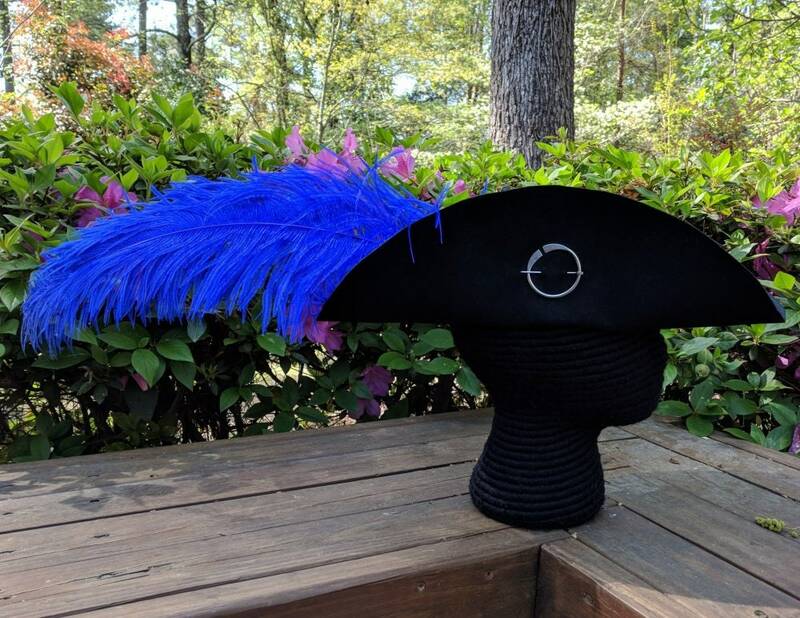 We are now offering a series of tutorials for these hats! We ship via USPS - Priority Mail - Insured for their safety and so that it will arrive in 2-3 days once the package is posted. Plus, you can track your package on-line. Love this for my pirate costume, and it worked great!!! Wish it was bigger but sent and arrived quickly, thank-you!